Outdoor activities can be the perfect way to spend quality time with your families. 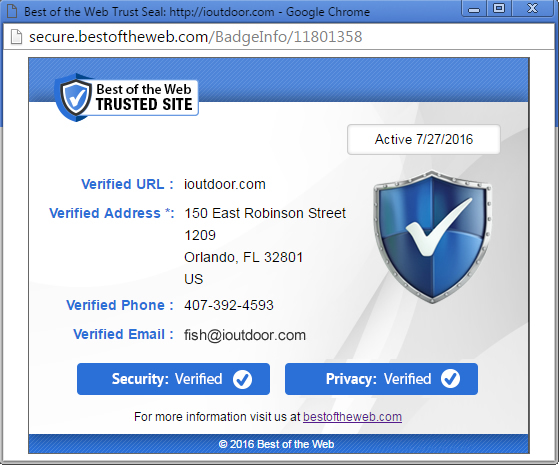 When you are visiting Florida, enjoy some time in the great outdoors. North Florida has endless opportunities to do this because of the expansive natural habitats. 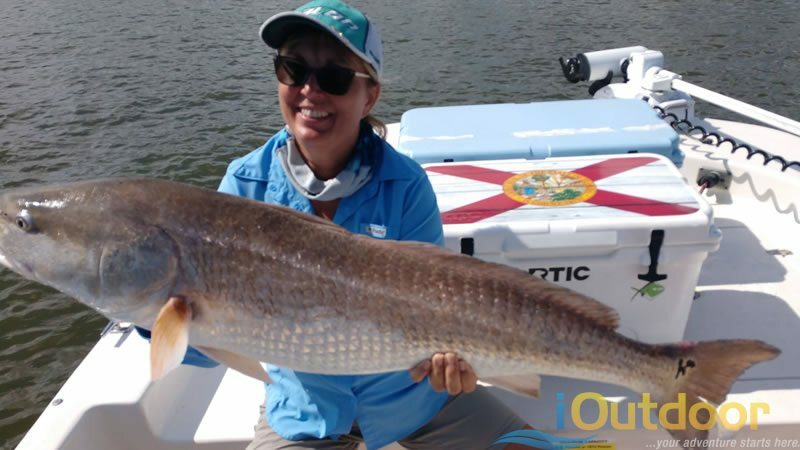 Redfish have flourished here in New Smyrna Beach and we would love for you to catch the biggest one of your life. 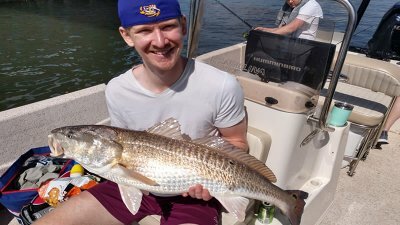 Come enjoy a family redfish fishing charter next time traveling to the state! Sit back and enjoy as our local experts take you on an adventure of a lifetime. All you have to do is step on board and everything else will be taken care of you. After meeting your captain at the boat ramp, you will get a chance to enjoy the scenery on the way to your fishing spot. Captain Brad Kayholm will be your local expert for catching redfish in New Smyrna Beach. 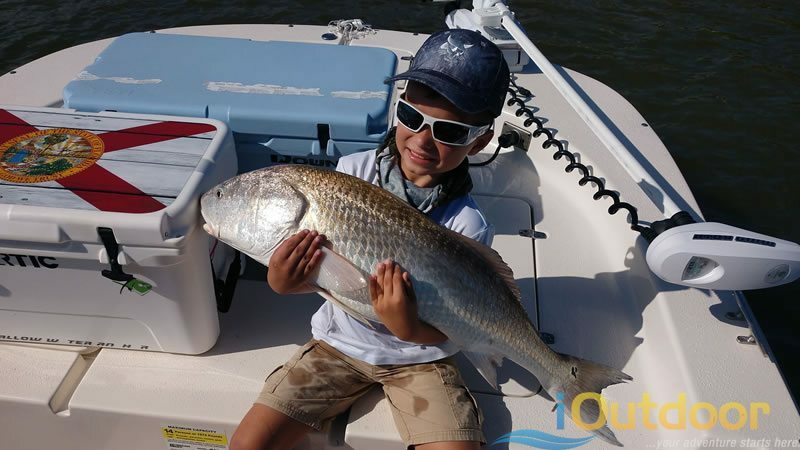 He has years of experience of catching some of the biggest redfish you will ever see. October was a very strong month for catching redfish here in North Florida. As the months roll on, the fishing will continue to be strong. You may have to be more patient as the temperatures drop but you will still have a great chance at catching some big fish. Sometimes being out on the water isn’t about catching big fish. 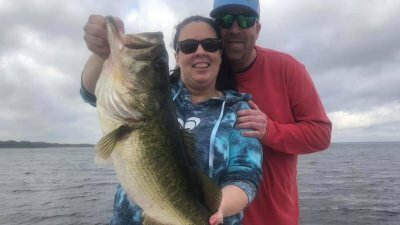 North Florida Fishing is more about being outdoors while the weather is cooler. 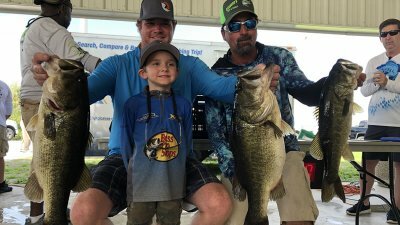 Setting the hook is an added bonus as well as a trophy class fish. Many people lose touch with the activity of fishing rather than catching. Enjoy the process of catching a fish and it will make that catch even better. Luckily, when you are traveling to New Smyrna Beach during these fall months you have a great chance at catching some quality fish and numbers of different species. Captain Brad had the pleasure of fishing with Ray, his wife Peggy and their grandson Raymond. After conversing for multiple months about when the best time to come fishing, the decided October was going to be the best time. Just to get out on the boat and on the water made all that time worth it. Redfish fishing can get slow at times, hence the reason why you have to stay patient. The New Smyrna Beach waters hold resident trophy redfish so you can also find several nice ones. Ray and his family caught a nice redfish right off the bat. It was a 31 inch redfish that put some smiles on the faces of Ray and his family. Ray was here to help his wife Peggy catch the fish of her dreams, a big bull redfish over 40 inches. After some time of not finding this fish where they caught the first one, Captain Brad made some changes. One of the downfalls of fishing in North Florida is that you can experience some boat traffic. Boat traffic will prevent you from getting in your fishing spots. Also, the amount of vibration the boats give off while slow the bite down and keep the fish away. When you are Florida Inshore Fishing, you have to make sure that you choose the right times and tides to go fishing. Find quiet times when the tides are moving right and get out on the water. Due to slower action, Captain Brad made a decision to head further south of New Smyrna Beach looking for better waters. It was not long after getting there that they got in on some action. 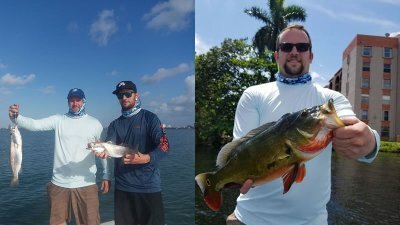 Drifting is the best technique to cover water and catch redfish. You have to drift with live bait in order to have the best success in catching some quality fish. Whether you want to use crabs, pin fish, mullet or croakers is completely your preference. They are all effective especially this time of year. As a result of moving, they were reward with the fish they were looking for. 8 year old Raymond was up to bat as the rod starting going off. Watching the bait being eaten is one of the most exciting parts of catching big redfish. Raymond was hooked up on a nice redfish and was fighting it all by himself. Just to watch this little man fight this fish was an absolute blast. Every time the redfish would make a hard run and take drag his face would light up. Raymond was sitting on a cooler as he was fighting and as the fish pulled he would get lifted slightly making for an even better experience. It was a true fight that made the trip truly special. Captain Brad admits that this was one of the most unique battles that he had the chance to experience. Certainly, it is moments like this that make being a fishing captain one of the best jobs ever. Just to provide a family with this much joy makes all the hard work so much sweeter. The action was not over as several other big redfish made it to the boat. When you key in on a technique make sure you don’t change things up to quickly. Starting our drift over, the action persisted. Peggy was up next! All Peggy wanted was a trophy redfish for her birthday. She has always wanted one over 40 inches and this was the trip that could make it happen. It was not long into the next drift that a fish ate the bait. The next big battle began as her fish was fighting and running hard. Peggy fought the redfish to the boat and once it was landed started shaking with excitement. Captain Brad put it on the deck and measured it. Peggy got her birthday gift catching a 41 inch Redfish making this trip a success. It was another amazing experience to watch someone live in a moment they will never forget. Peggy was shaking with accomplishment and excitement making everything so much more precious. Ray was up next for his 40 incher but unfortunately could not find it. The battle for Peggy though was not over as the next drift landed her another battle with a 40 inch redfish. 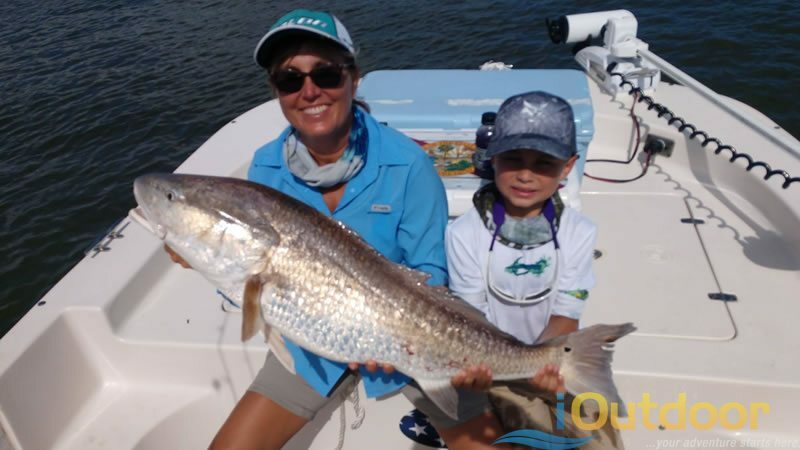 Redfish fishing in New Smyrna Beach will be something they never forget! Captain Brad is truly honored to be part of this incredible outdoor experience. Ray will be back for more and in search for his trophy redfish. You just never know when the bite will come! New Smyrna Beach is a prime Inshore Fishing destination. Redfish Fishing is absolutely fantastic this time of year. You can also enjoy an abundance of other species as well. Every adventure will be a unique experience for you and your family. 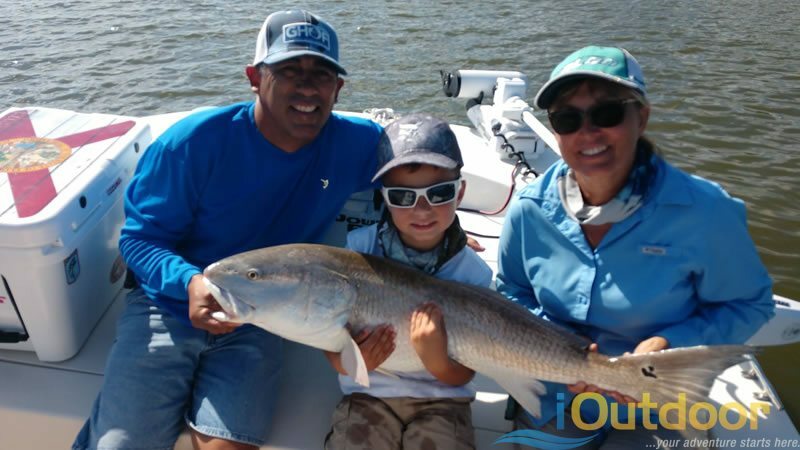 When you are visiting North Florida, getting outdoors is a must especially on a family redfish fishing charter! Make sure you check out our local experts and get on the fish of a lifetime. We pride ourselves on making the experience something you will never forget. We also look forward to seeing you on the water next time!! If you enjoyed this post about Saltwater Fishing, you might also enjoy our Fishing Blogs.